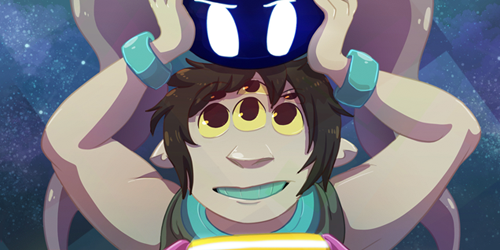 The Keeptender musters new personnel through a portal. The applicants go through a strict filter. Underlings get compensated with food and “gold coins”. The coins are shiny and nice. You can sleep on them or buy things from the local refreshment shop. So much time to read comics. Feel free to take any you like. 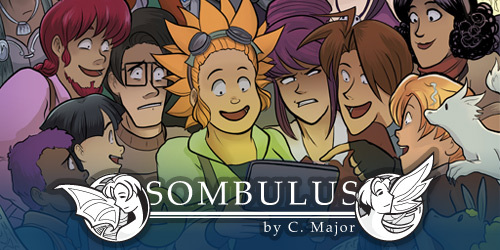 Sombulus by Christina Major – Sombulus is a world-hopping adventure about a curious tinkerer who talks to machines, a magical scavenger, and a zealous paladin. 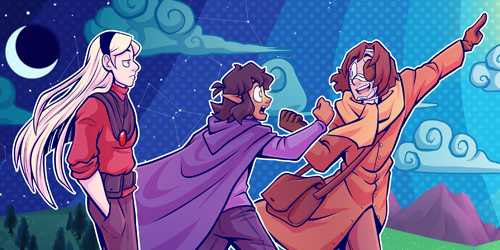 Together, they travel the Myriad Worlds, leaving each place a little more weird than the last!